Testing for mold is not always simple, but we’re here to help. 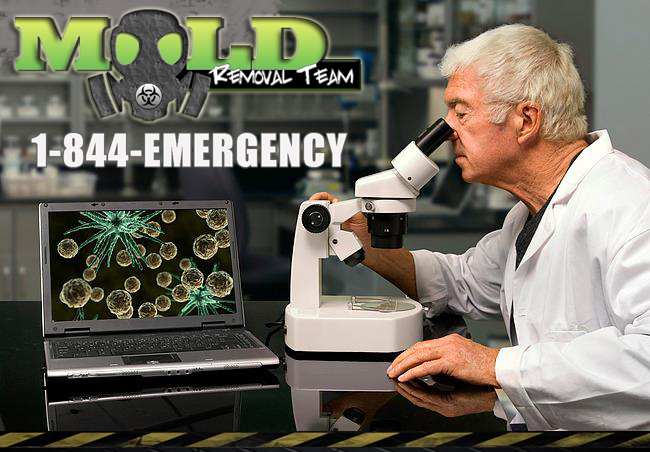 Whatever the reason you are Testing for Mold, you need a testing strategy. At the Mold Removal Team, we are happy to discuss your objectives and assist you in developing your game plan. 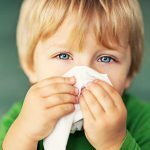 Testing for Mold Health Reasons: Is your environment making you sick? You will need medical testing in conjunction with your environmental testing for a complete analysis. Testing for Mold Peace of Mind: Testing for Mold and getting clear and clean results is the peace of mind every person wants to get. Whether it’s in your home, apartment, school or place of work, testing for mold can give you that peace of mind. 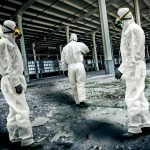 Testing for Mold Post Remediation: Once you have determined that your environment has Mold Contamination (testing for mold has confirmed the presence of mold infestation), you must have the structure “professionally remediated” for mold. 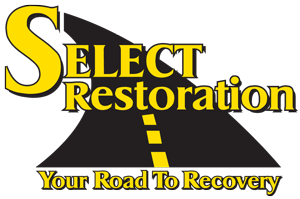 Once remediated, you’ll need to be sure the job was done correctly and the mold levels are deemed safe. This type of testing for mold is known as “Post Remediation Clearance Testing”, this assures you the job was done correctly and the structure is now safe to inhabit. 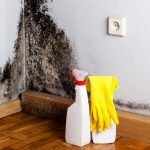 Testing for Mold Litigation: For the strongest case possible, you’ll need to know the species of mold you are dealing with. It is in your best interest to have a disinterested, 3rd party to take the test for you. It is also recommended to undergo multiple tests in order to support your case. If water damage was a problem, you will also want to test for environmental bacteria, as this has the potential to make you very ill.
Where To Look And What To Look For If You Think You May Have A Mold Infestation. Musty Odor: A musty or damp smell is a strong indicator of mold or harmful bacteria. It is common that you will not see mold colonies with the naked eye; this does not mean that mold spores aren’t elevated to a hazardous level. We recommend that you do air sampling in each room exhibiting this odor in order to determine the severity of the contamination. 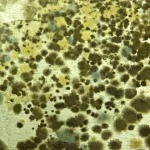 Visible Mold: Visible mold can manifest itself in several ways, the most common of which would be either white/black or green circular patterns on cellulose materials such as drywall. Visible mold sightings are generally the best place to start testing. The key to properly testing an environment with visible mold is to examine the area around the visible mold for other colonies that may be less easy to spot. Water Stains: Water damage is the best way to find Mold that you can’t see with the naked eye. Mold needs two things in order to grow: a food source like drywall dust, and moisture. Any water stains on your wall or ceiling are potential hot spots for mold growth. Attic: Water intrusion from your roof and gutters is common after a storm. 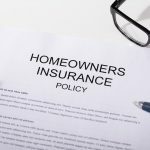 When inspecting your attic, pay close attention to visible mold on the insulation and the HVAC system. If your insulation is black, it may be a sign of a problem. If you see signs of an issue, it’s strongly recommended that you test the HVAC unit with a mold swab. Bathroom: The bathroom is a common problem spot because of the elevated levels of moisture. We suggest testing the intake fan as the best bathroom sampling method. The intake fan will come into contact with the majority of the air in the bathroom, making it the preferred testing location. Kitchen: When you’re inspecting the kitchen, you need to focus on the water sources in places like under the sink, refrigerator, and dishwasher. Mold and bacteria swabs are the most common samples taken for testing inside a dishwasher or refrigerator with suspect mold. Doors and Windows: Doors and windows are high-risk areas for water intrusion. Be sure to check around door and window seals for moisture. Any leaks can lead to mold and bacteria contamination in your environment. Basement: Basements and crawl spaces are one of the most common places where mold and harmful bacteria are found. Pay close attention to the decking and floor joints for signs of mold growth such as dark circular patterns on porous surfaces. (An air test is a great way to test areas you can’t reach). If you have an HVAC system in your basement or crawlspace, we recommend testing with a mold swab. Don’t Take Chances With The Health Of Your Family Or Employees!